Film is a great way to create privacy for your home or office without dramatically altering the space. It is an affordable way to keep the ambient exterior light without sacrificing privacy. Glass Plus can provide numerous ways to design an aesthetic that is as unique as you. Film is a great way to create privacy for your home or office without dramatically altering the existing space. It is an affordable way to keep the ambient exterior light without sacrificing privacy. 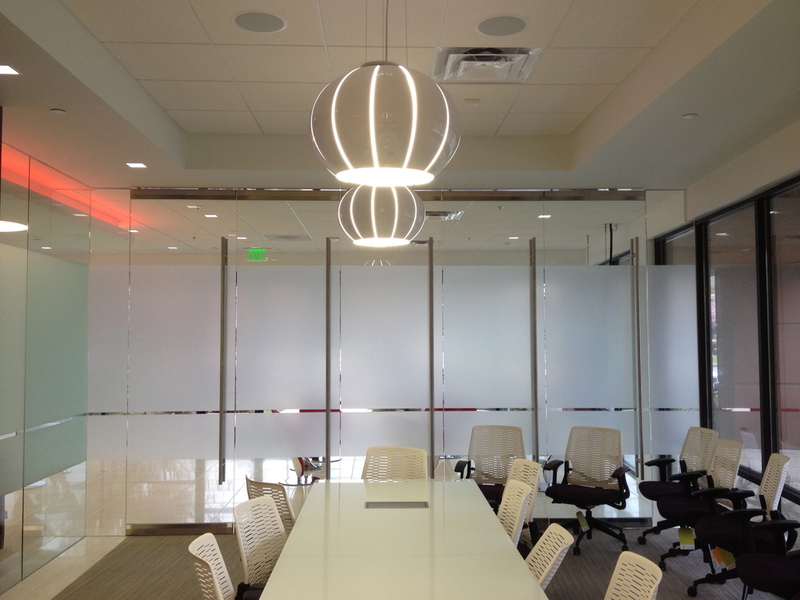 Film is an effective way to create a design aesthetic within a space that contains glass using a frosted, opaque, translucent, color or patterned film. This option can provide total privacy during the day and night and gives you the option to be as unique as you like. Frosted privacy film is a popular choice for a number of reasons. Despite blocking the view, the nature of the film means it allows good levels of natural light to pass through the glass, ensuring that rooms don’t become dark after application. The film is also durable, long lasting and can be printed upon or cut to incorporate images, graphics or logos.